With the season almost here, Rush the Court’s Big Ten preview will tip off its coverage by posing season-defining key questions for each team. Today we address Minnesota and Michigan State. #2 Minnesota – How will Richard Pitino handle elevated expectations? Was Richard Pitino really on the hot seat last year? Maybe. After coming off an eight-win season the year prior, there was certainly pressure to be better. Just how much better is difficult to quantify, but it’s in the rear-view mirror now. 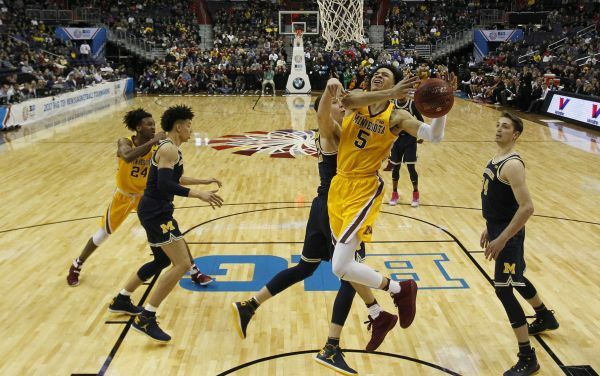 The Gophers were improved, much improved last season, notching a 24-10 overall record (11-7 Big Ten) despite ending the season on a sour note with a First Round NCAA Tournament loss to Middle Tennessee State. Things are different now. Minnesota was picked to finish third in the Big Ten this preseason, is ranked 15th in the USA Today/Coaches Poll, and you would have to think making it past the first weekend of the NCAA Tournament is a reasonable expectation. Guard Amir Coffey — arguably the catalyst of the offense for the Gophers last year — could be the star. As a first-year starter, he ranked second on the team in scoring at 12.2 points per game while leading the team with a true shooting percentage of 55 percent. You would expect him to take another step forward this year. If that leap includes getting more shots right around the basket, that would be huge benefit for a Minnesota team that finished 77th in adjusted offensive efficiency last season. Freshman Isaiah Whitehead will join the fold and figures to impact things immediately as well. He’s a first-year talent the likes of which hasn’t been around Minneapolis for some time. Senior guard Nate Mason was voted preseason all Big-Ten along with inclusion on the Bob Cousy preseason watch list. All the pieces are in place for Pitino this season, but it will be for naught if Minnesota cannot adapt to the unfamiliar role of favorite. The head coach’s challenge will be ensuring that the Gophers are not overlooking teams and losing games they shouldn’t. #1 Michigan State – Defense wins championships. Will Michigan State have it? It’s pretty simple for the Spartans. Their talent is everywhere. Their scoring is everywhere. All the pieces are in place to make a run to cut down the nets in San Antonio. Yet, if Tom Izzo‘s defense doesn’t improve from last season, Sparty could be in for another shocking early NCAA Tournament exit. It was the first thing that the head coach mentioned when he was asked about his team heading into practice this season. Literally. “I’m hoping to see that we can guard somebody,” he told reporters. Michigan State found the company of schools like Montana, UC Davis, and a host of other low mid-major non-tournament teams in one statistical category last season: percentage of shots at the rim. According to Hoop-Math, 36 percent of Michigan State opponents’ shots last season came from within five feet of the rim — one of the worst such showings for a major conference school. Why? 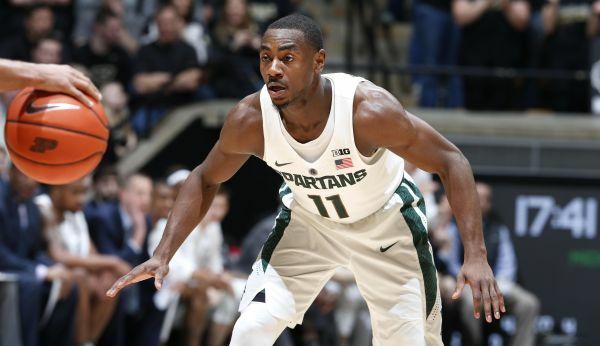 Mainly because, outside of Tum-Tum Nairn, it was a painful struggle last season for Izzo to find another great on-ball defender. Another statistic to note? According to KenPom, Michigan State hasn’t finished among the top 15 teams in adjusted defensive efficiency since 2009, which is also the last time the Spartans advanced to the National Championship game. No title winner has finished outside the top 15 in adjusted defensive efficiency since North Carolina pulled it off in 2009 (18th). As Sports Illustrated‘s Chris Johnson notes in his ratings, there is potential for the Spartans to produce the nation’s fifth best defense. The good news for those in East Lansing is that if Sparty can figure it out — certainly if they can be that good — they may be celebrating like it’s the year 2000, coincidentally the last time the Spartans won a national title. Indeed, ball is life, but can we find a new expression? This entry was posted on Friday, November 10th, 2017 at 9:31 am by Chris Hatfield	and is filed under big ten, feature, microsites. Tagged: michigan state, Miles Bridges, minnesota, richard pitino, tom izzo. You can follow any responses to this entry through the RSS 2.0 feed. You can leave a response, or trackback from your own site.